I do not draw animals well . . . but was surprised and rather pleased to do this one. 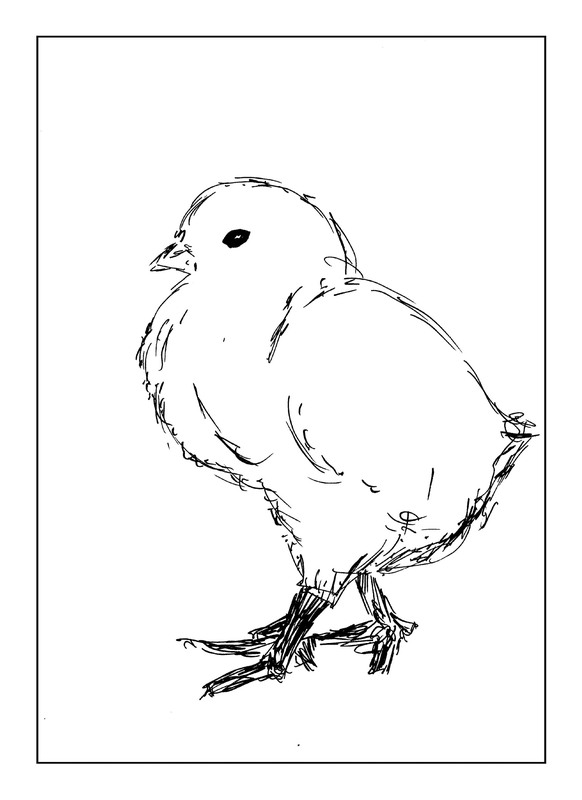 I found a picture of baby chicks – chickens seem too complicated to draw! – and did a rough pencil sketch, then a pen overlay, erased the pencil, and here ya go. Total time about 3 minutes.